The Cloverdale Rancheria values its relationship with the greater Cloverdale community. The Tribe supports and participates in numerous community events, and enjoys being involved in the social and cultural happenings in Cloverdale. The history of the Pomo people can be traced back for thousands of years in Northern California. The Tribe's oral history has been handed down through the generations and is filled with references to local landmarks such as the geysers, Alexander Valley, Mount Konocti and other nearby hills and valleys. The Cloverdale Rancheria of Pomo Indians are deeply rooted in this area, and wish to thrive here for generations to come. 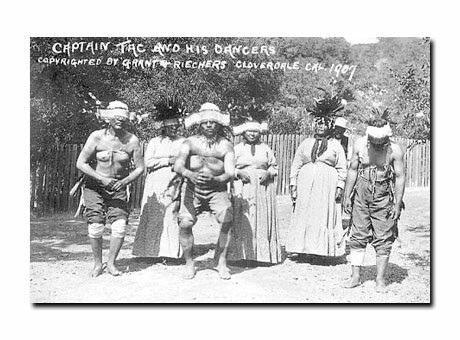 1800s: From ancient times to the 1800s, the indigenous Pomo people lived peacefully in Northern California. However, the Gold Rush and quest for discovery of Western frontier brought many people who brought their own ideals. Unfortunately, much of the Tribes land was destroyed and the life they had enjoyed for centuries was forever changed. 1921: The Cloverdale Rancheria was created in 1921 when the United States government federally recognized the Tribe and deeded 27.5 acres on the southern edge of Cloverdale to the then homeless, landless members. 1958 : The Rancheria was terminated . The federal government enacted the Rancheria Act of 1958, which transferred tribal communal property into private ownership, thereby destroying all cultural and tribal affiliations. Under this process of “termination,” Cloverdale, and 43 other Rancherias in California, were eliminated. 1979: The Pomo people rose . Tillie Hardwick, a Pomo Indian woman, led a class action lawsuit against the United States government on behalf of 16 illegally terminated Rancherias. 1983: The Pomo prevailed. Nearly five years later, the courts issued a favorable ruling on the Hardwick lawsuit, which reinstated the federal recognition of all illegally terminated Rancherias, including the Cloverdale Rancheria. 1994: Highway 101 destroyed Cloverdale Rancheria land . The Highway 101 bypass cut through the center of the Cloverdale Rancheria, after the remaining Tribal landowners were forced by Cal-Trans to sell their land to make way for the freeway. The bypass split the Rancheria between the east and west side of freeway, rendering it of little value to the Tribe for future habitation or development. 2006: The Tribe restored culture. Through the many phases of our Tribal history, we lost part of our culture to passing generations. Striving to revive our traditions for future generations, we again began our Tribal dance group and have begun, again, to restore our heritage. Today: Self-reliance sought . The Cloverdale Rancheria is a Tribe seeking self-reliance for its people. The Tribe wishes to live and prosper in Cloverdale, where its history and culture are deeply rooted. At the Tribal Council office in Cloverdale, we have created a wonderful exhibit of our Tribal history. It includes handmade baskets (for which our Tribe is known), photos of the Cloverdale campsites where our ancestors lived, historic letters, dancing regalia worn by young girls and boys, and many other artifacts of our history and culture in Cloverdale. Please call us at (707) 894-5775 to set up a time to take a tour or bring a group. Here is a link to a documentary on the past, present and future of California Indians called Transformations Under Way . A preview of the film was shown at the National Congress of America. Please call us at (707) 894-5775 to schedule a visit of our history exhibit. Cloverdale Rancheria is a democratic, self-governing Tribe. Our leaders share a common vision of achieving self-reliance and a better future for our elders and our children, while remaining on the land of our historic and cultural roots, Cloverdale. 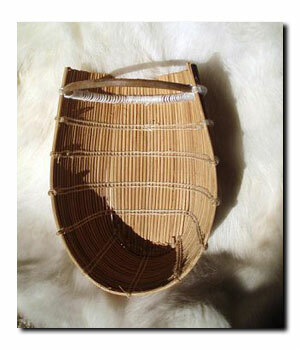 The Pomo culture is rich with tradition and culture. Among our most cherished traditions are: the art of intricate basket weaving -- for which our Tribe is known -- and our Tribal dancing. We are striving to ensure that these traditions are not lost as our new generations of young people come of age. In 2006, we started to revive our dancing tradition with our own dance group. 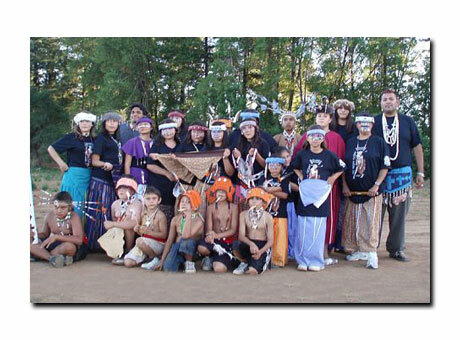 By 2007, the number of Tribal members involved in the dance group had doubled, mainly with our youths. Through the art of dancing in full regalia, the youngsters are able to connect with their heritage in a way that is deeply moving to them, and has given them more confidence in their personal and social lives.